A Country Night In Nashville recreates the scene of a buzzing Honky Tonk in downtown Nashville, perfectly capturing the energy and atmosphere of an evening in the home of country music. Prepare to be transported on a musical journey through the history of Country, featuring songs from its biggest stars both past and present. 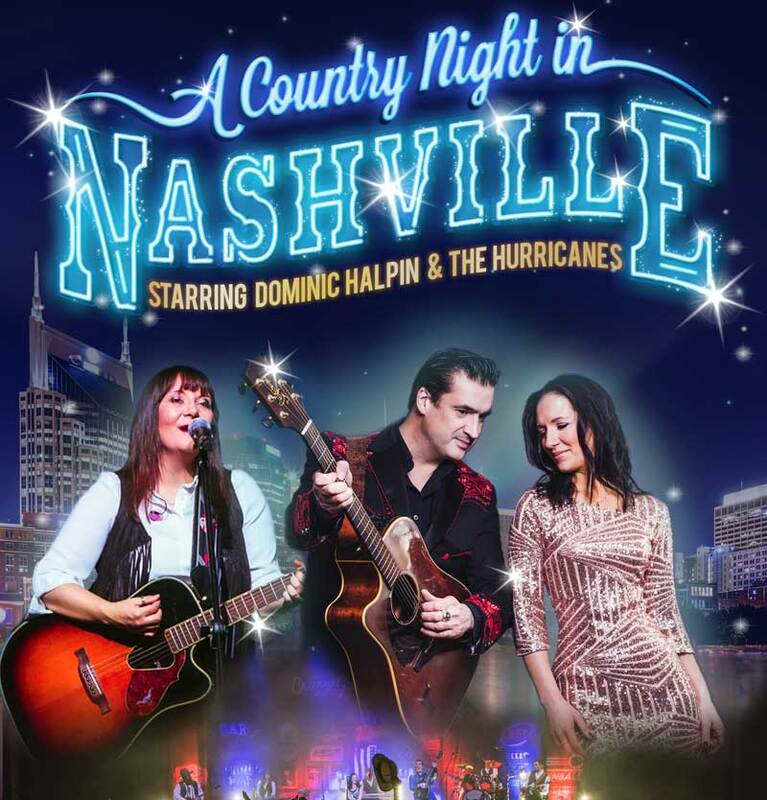 Hits from Johnny Cash to Alan Jackson, Dolly to the Dixie Chicks, Willie Nelson to Little Big Town, are showcased by the amazing Dominic Halpin and the Hurricanes. With songs including Ring Of Fire, Crazy, Follow Your Arrow, It’s Five O’Clock Somewhere, Need You Now, 9-5, and The Gambler to name just a few, this incredible celebration of country music is a night not to be missed. Keep up to date online with all of the latest news and events taking place at the Brangwyn Hall, Swansea. The Brangwyn is managed by Swansea Council.